The 2019 Nissan Versa for sale in Niles, IL remains a bargain deal while maximizing fuel and offering upgraded audio and smartphone compatibility integrations. Visit Star Nissan today to experience the 2019 Nissan Versa first-hand! While there is an abundance of new technological features, there’s nothing quite like the surprise of unexpected leg and headroom. 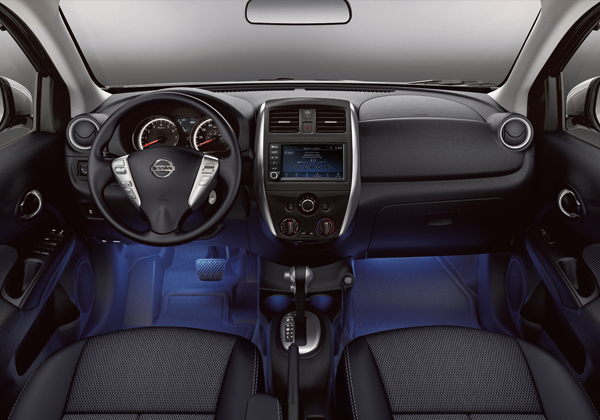 Comfort and convenience return with the new 2019 Versa, hospitably seating up to 5 people. There are few if any shortcomings when it comes to style. A leather-wrapped steering wheel complimented by upgraded cloth seat and door trim rounded out by silver accents on the dash, vent rings and knob shifters. The stylish details embellish the overall sharp interior aesthetic. The 2019 Nissan Versa available at Star Nissan offers power and fuel efficiency with its 1.6L 4-cylinder 109hp engine and 39 MPG highway fuel economy. This impressive fuel economy is all made possible by the available S Xtronic transmission that also lets you easily accelerate and cruise down the highway. 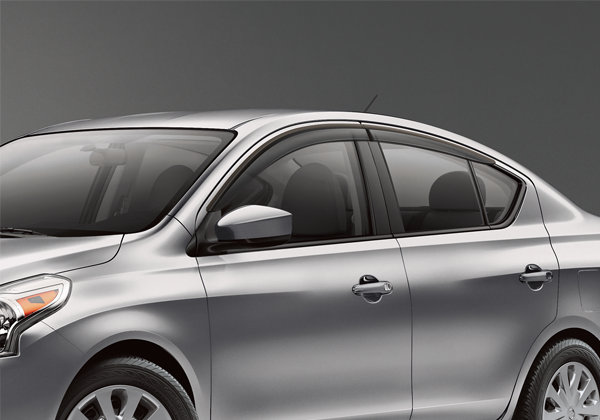 The Versa uses the Nissan Advanced Airbag System to increase protection during a crash. The front air bags have seat belt sensors that help determine the inflation rate of the airbags depending on the severity of the crash and the usage of seatbelts. While driving, in order to control understeer or oversteer the Vehicle Dynamic Control reduces speed and/or applies brake pressure to specific wheels. The Traction Control System helps you stay in your path when there is a loss of traction by reducing throttle. Coupled with the Anti-Lock Braking System and Brake Assist, you will feel confident while driving your Versa. The 2019 Versa boasts technology built to make your car more enjoyable and safer. A 7.0 inch color touchscreen with a Standard RearView Monitor provides the car with a second set of eyes to steer clear of danger. 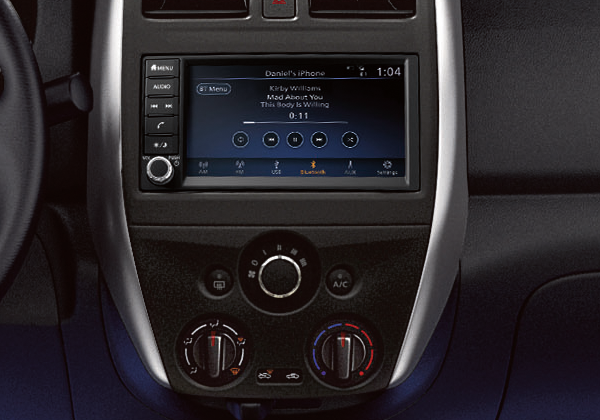 Enjoy your time in the car with an upgraded audio system by streaming audio via Bluetooth, Siri Eyes Free and AM/FM. A ready USB connection port for IPod’s and other compatible devices is available plus an Aux – in port. 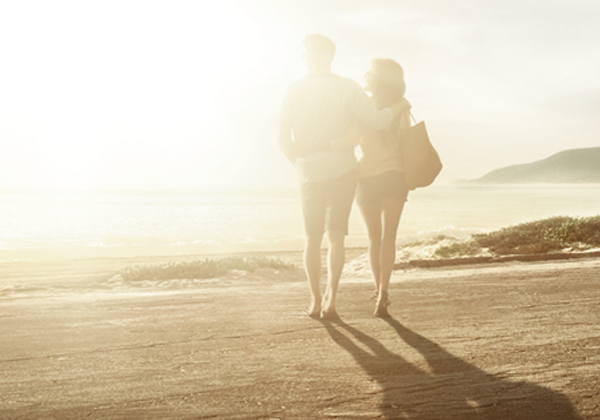 Enter your vehicle with the push of a button, using the remote keyless entry enabled by the Nissan Intelligent Key. Want to know more? Check out the different 2019 Nissan Versa Trims to learn more! 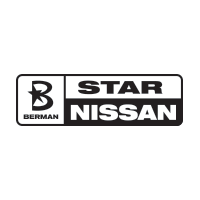 You can visit Star Nissan at 5757 W. Touhy Ave in Niles, IL to see the 2019 Nissan Versa. You can contact us to schedule an appointment, or get directions below!